At the risk of being accused of hyperbole, I have to state from the start that this concert, in which the 85-year-old Bernard Haitink conducted the Chamber Orchestra of Europe, was one of the most musically enriching experiences I have had for years. In a period in which we’ve recently lost some eminent octogenarian conductors – Charles Mackerras, Colin Davis and Claudio Abbado – one feels a certain morbid need to catch the rest of these great figures while we can. And thankfully, Haitink looks in the rudest of health – happily standing for 40 minutes uninterrupted for a Beethoven symphony and only once eschewing the effort of the stage steps before returning for an ovation. And what an ovation. Before he had even conducted a note there was a warmth to the applause at his arrival on the Barbican Hall podium that recognised both the great contribution he has made to Britain’s musical life over the decades and the regard in which he is held by concert-goers. The qualities of Haitink’s artistry were displayed from the very start: Schumann’s Manfred Overture had tonal richness, sense of purpose and the ideal balance between lyricism and rhythmic thrust. 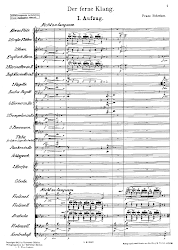 The weight of the string sound – perhaps the section was slightly more numerous in personnel than most ensembles that call themselves ‘chamber orchestras’ – was particularly impressive, with the sound seeming to well up from the fundamental of the four basses. And with the violins left and right of the conductor there was some nifty stereophonic interplay between the two sections in the calmer centre of the overture. Apart from some slightly tremulous trumpet-playing in the same portion of the work, the wind added refinement and character to the whole. Alban Berg is not a composer normally associated with Haitink and as befits this great Mahlerian, the conductor took a very late-Romantic approach to the Violin Concerto, drawing out its engagement with the composer’s Viennese heritage more than its acerbic, forward-looking aspects. In this he was in complete agreement with his soloist, Isabelle Faust, who, while sometimes lacking the last ounce of tonal weight, touchingly caught all the music’s poignancy and guided its emotional trajectory with consummate command. There were some telling details to her playing, too, such as the way at the start where she mimicked the open-string fifths of her first entry with non-vibrato articulation of the motif’s repetitions at higher pitches, only introducing vibrato as the music sunk to its first cadence. However, where one might have expected a purer approach – her first exposition of the Bach chorale – her heavy vibrato contrasted a little too much with the following harmonisation on the organ-like clarinet choir. It was touching, nonetheless, and with Haitink’s masterly control of the orchestra the performance as a whole left a profound effect that lasted well beyond the much-deserved applause. Haitink’s account of Beethoven’s ‘Pastoral’ Symphony in the second half was as close to perfection in this composer’s music as I’m ever likely to hear. In recent times, we have come to expect lean and fierce Beethoven from chamber orchestras whether or not the players are adopting period manners on their modern instruments. Haitink’s way was neither purely old school, nor over-burdened by ‘authentic’ mannerism and the most obvious aspect one took away from this performance was the music’s abundance of tonal detail and colour. As a past master of Debussy and Ravel, Haitink seemed to bring some of those composers’ colouristic subtlety to Beethoven’s orchestration, making us aware as never before how carefully the composer shaded his orchestral palette. It was a performance notable for its clarity and tonal beauties as much for its symphonic integrity, and much of this wouldn’t have been possible without the supreme artistry of the COE’s musicians at Haitink’s disposal, from the rich blend of the strings to the personable individuality of the wind soloists. A memorable evening indeed.